How do you git gud in WoWS? Hello guys, I believe this is my first time starting a topic in WoWS forum..
How to improve my game in WoWS? Right now I'm doing really badly every game no matter what the ship (I won't play carrier, mainly coz i didn't like being burdened with great responsibility and of course, top-down clicking game is not really my cup of tea). On average i scored about 700 exp and deal about 20-30k damage every game. My winrate is an abysmal 46%. I tried so hard but every game I almost always face decently skilled opponents and ends up losing the firefight, get wrecked by CVs, torped by DDs, and any other things that would lead me to be killed and losing the game. I do well in World of Tanks (imo), my winrate is a stable 56% and 1000+ damage per game which is not so bad, and I want to improve my skills in this game as well. It's not like I cannot shoot or steer the ship, but even though I (think I) know the basic mechanics like concealment, angling, over pen, target selection, etc, it's very hard to deal lotsa damage and help the team in any good way. My stats are so bad I almost stopped caring about them and just enjoy my awfulness, but my pride (lol) refuses to do so. So please are there any pro players out there who are willing to help me git gud (platoon ingame), or at least give me a meaningful explanation on this topic? But if I somewhat close the range between me and my enemies in my BB, those pesky stealthy DDs will fire the torpedoes from like 7km away (and i cannot dodge all of them, one hit and a quarter of my HP is lost! ), I always angle my ship and never engage if odds are against me but why does it seems like the other side almost always gets the upper hand? RNGesus really really hates me as my ship burned rather easily and the dispersion of my shots really grinds my gears. Please don't get me started with plane attacks. As for cruisers, mine always outranged by BBs and they could just shoot me with their superior range and VERY often land one or two citadel hits! And I cannot recover my HP at all, that is what leads me to play BBs, at least they are quite survivable. I don't know about higher tier cruisers but I'm pretty much demoralized at such an early stage already. Destroyers are maybe good for me so I should try it out, already have one (Gremy) but I didn't do quite well in it. I still can try to improve though. And how do you exactly "force potato teammates to push the enemies"? Majority of players didn't speak english I assume, and many people just simply didn't want to coordinate because (imo) they think what their doing is right.. Perhaps creating a Division is the ONLY way I could enjoy this game and actually winning, but what kind of good players would want to platoon with a 46%-winrater? Location: This is the asia server right? With regard to cruisers, find yourself a friendly cruiser to pair up with. A lone cruiser is just roadkill for a skilled BB or even CA/CL captain. Watch your detection, and use your zoomed in view to see where BB guns are pointed if they are in range. If they are pointed at you, turn yourself as fast as you can and face bow to the enemy. Wait till they have fired and then turn to run away if you feel that you are unable to tackle the enemy. If not, press F3 and F7, and hope for your team cooperating as you set the BB ablaze with HE. Whatever you do, show as little broadside to the enemy as possible. Use F3 and F7 to get your team's attention. Chat is limited to one's language so other players may not understand your language and fail to come and help you. And no, divisions don't necessarily grant you victories. Attack coordination is only one part of the game, but mostly you have to have skill. Always turn. Never sail in a straight line unless you are confident you can dodge shells and torpedoes at the last moment. Stick with another ship for increased firepower as well as to cover you in case something goes south. Use the minimap and check enemy positions. Don't be caught in front of an enemy offensive push. Practice, practice, practice. Skill and experience comes as you play more. Consider watching some tutorials on youtube if you have the time. Having fun is most important. My winrate is also not exactly stellar, but I try my best and I still feel accomplished on defeats. 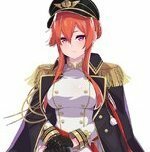 Find people who are decent in the class of ship you want to improve in, and div over voice chat? You can learn about how good players see the minimap, their thinking process, and other tricks if they are willing to share. Map awareness is very important. Dealing lots of damage in any ship is only possible if you position yourself in advantageous spots (easier in a DD, cruiser, or fast battleship). As for torpedoes, go play some games in the Minekaze (or Mutsuki). You would gain a feel of where it is generally good to launch torps (and thus where torps are likely to come out off on the receiving end). If its air-dropped torps then just pray to RNGesus that your teammates' AA shoots them down before they drop. Some people are willing to div with others, because the main benefit of a division is coordination over voice chat. As for hitting things, you may have to either get closer, or gain more experience in judging speed and turns while shooting maneuvering targets. Two, the will to learn. When you lost a duel, lost a match one-sidedly, or got one-shotted, the first thing you should do is look at yourself. Find out just what did you do that might have lead to such situation, and try not to repeat the same mistakes. Don't be one of those players who cry "OMG noob team!, or XXXX OP, pls nerf!!!". They are the kind of people who always find excuses for their own poor play, and won't learn from their own mistakes. That's it really. Other things such watching youtube videos/streams, divisioning with good players, etc, is simply optional. It will help accelerate your growth, but by no means necessary. Just keep playing, have patience, and I'm certain you will be rewarded. Good luck. Wow thanks for all the helpful advice guys, didn't think so many would respond.. But how exactly do I search for good players to form a division with? I really want to learn from them directly instead of battle vids (and I have watched quite a number of them), perhaps it would help if there's clans and the like.. I usually play lone wolf, only in a division a couple of times but rarely (usually only when IRL friends wanted to play), so I can't say much about a well-played division due to not or rarely ever been in one. For me, win rates is something which I do not care about that much. Don't get me wrong, it's good to win but sometimes you can't just always win. Some factors are out of your controls regarding the composition of players in both teams. You may change a losing game into a great games sometimes but that is rather uncommon or even rare. When the odds are stacked against you so much, it's quite hard to recover from a losing match. I'm more focus on how I performed in a match as it allowed me to at least look at something I'm in partial control, i.e. an average damage per match, kills ratio (I mean don't look at it as kill stealing but instead to remove most of the enemy guns as possible), hit ratio (both torps and main battery, to some degree can tell how effective your aims are and the efficiency to use torps with best possibility of hitting), capping and defending points, etc. and work on improving those, and hope it contributed to win rates. Most of the posts covered what's on my mind, but I think no one said anything about Ship Characteristic, kind of like World of Tanks understanding one's own tanks. By understanding the capability of your ship helps in decisions making, which role in which you would take on during the match and how you would position yourself on the map thus making the odds more favorable to yourself. I think this is something earn though numbers of games played alone and get comfortable play styles the ship offered you with, vids and guides do help but it's their perspective not yours, so take it in and make it your own I guess. Try not to get in a "fair" fights, after all they're for nerds. Regarding the division, you could use the forums or in-game chat room to find people willing to division. 66 games in PVP and 16 in PVE. You're new to WOWS so don't get disheartened at this stage, I'd say don't get stuck in a losing streak for one. If you are seeing a run of losses then switch mode to PVE you can still practice your aim and the losses won't impact your W/R. I agree. I also think that I don't need to care for winrate that much when I'm relatively new to the game. It's more important to simply contribute to the team, and hope for a win. That being said, are there any mods that can help my aim (or just helpful in general)? What do you guys use? You do what the person who hassled me today does. After 4700+ games you still play T5. **bump** What mods do you recommend for improving my aim? I checked some aiming mods, like mobius etc. what is the best among them? Well, there is no aiming mods so far I know. You need to learn how to aim your self or by watching videos. If you need mods that helps you in aiming, Aslain's Mod Pack have mod named Navigator and Running Lights. Navigator helps you by showing the enemy's direction and angle. Running Lights helps you by showing if the target is moving forward/backward/stopping, it doesn't show the current speed. There are no mods that can help you if you don't learn how to aim by your self. Except if you use Aimbots, which can get you banned. Play games and reflect on the situations that happened after you have died , thinking what you could have done. Videos could (might and might not) help you understand the basics of the game or the ship you re using. (awkward) if you know anyone IRL like classmate/acquaintance or friend that play WoWS you could ask him to help teach you and guide you in your game next to you like a mentor/teacher. one thing i could say is just , relax first and you'll get a clearer mind of what you need to do, retreat if you are out numbered, no one is going to support you in the game at most is you could go along with your team mates and support them. World of Tanks and World of Warships are very different you aren't the first to put this statement up. To change you probably need to understand : in WoWS negated damage like bounce or ricochet is rare, using HE shells usually confirms damage if you are shooting the superstructure it maybe low damage but still damage. every ship has a different citadel size. personally i ahte tier 2 cruiser + st.louis because getting citadel on them is something i have no idea on its like i cant find the sweet spot for the citadels. Gremy is a good DD i doubt they releasing it anytime soon more like never its quite OP but i don't play Russian so i cant help you there. recent games i find 1-2 english speakers in the game chatting or is it just me? but you also have to understand that we are in one of the least overall developed zone in the world and Japanese and Koreans are usually shy and not confidant in their English. Creating division might- might not help like i said above it depends on players and how their play style are. just enjoy the game and everything will go fine. My division WR is like 66%, my solo WR is like < 50%. I stopped playing solo long time ago. Not worth for me. I have more fun in division play. However, WR is not my main focus. If you do consistently well, it will rise automatically. Average damage done and average exp (and K/D ration + accuracy) are the stats that you want to increase for a ship. If you want to move your stats look good quickly, check the ships with worst server stats, (mostly ijn/usn dds) and do better than the server average, you will see quick rise in your numbers. And by doing some simple search through Youtube, you can get a vast knowledge and i definitely sure that this would open cans of worms so to speak. Do subscribe and follow World of Warships on Youtube , and while you're at that, find Notser and iChaseGaming on Youtube too, and you'll get better in your gameplay. This is how i would do always after my post battle in WoWS. Seek new knowledge, understand the game mechanic and try your best to equip yourself the best strategy and at the end of the day, enjoy your game, don't get stress . Always monitor your health and do health checks regularly since i'm sure WoWS Asia community wouldn't want to hear players getting bad health IRL when playing WoWS. Smoke on IJN DDs are for mostly defensive purpose, and on other nation DDs, they are mostly for offensive purpose. Here are few things that might come in handy. 0. Always look at minimap for a glimpse of enemy positions every 30 seconds. 1. Do not panic drop smoke and drive at full speed. Just because one ship saw you doesn't mean you have to drop smoke. 2. While in smoke, reposition your ship by slowly going (no more than quarter speed) back and forth and align your ship to your escape direction or stay vertical from where you anticipate torps from enemy team (and I can assure you smoke is the biggest torp magnet), never horizontal. 3. Put offensive smoke when there are multiple enemies to shoot at and possibly set fire, put defensive smoke to immediately drop from detection when running away, or doing torpedo strikes, or when capping so that you don't get hit and the cap doesnt get reset. 4. Unless there are other ships to do spotting for you or you have any other means of spotting them (exceptions exist) do not use smoke, you wont be able to see anything. 5. Always count enemy torps to anticipate the time they can torp again. If you are IJN DD, do not pick a fight with USN or VMF DDs if they are very healthy. Its not even a fair fight. 6. If you are USN or VMF DDs, your torps are situational, do not spam torps. 7. The ability to judge enemy movement and predict enemy action 30 seconds in future is crucial. 8. Capping is your primary duty, staying alive is the second, cap defense third, fighting enemy dd and ca, and then finally chase BBs or CVs. Anyone who tell you to do otherwise just dont listen to them. Hone your basic skills in PvE - the bots are more predictable there so you can work out when your smoke should be used, how to invisi fire etc. I just try to carry my weight in games and that's enough for me. As long as i dealt a ship's worth amount of damage around 40k+( still new to the game , low tier ) i know i'm doing gud. Actually, a ship hp amount is not winning trade, you have do 1.5x to 2x at the least. Then you will see the impact. Well it should be measured by what ship class you are using. For example, when using a DD, damage is not what you look for as primary goal, same goes for cruisers. However, as a battleship, your job is to get as much damage as possible. For a CV, you neutralize enemy CV's effect as much as possible and delete early threats as soon as possible. But I think 1.5x is still a good place to aim. Plus, you gotta look higher to go higher.